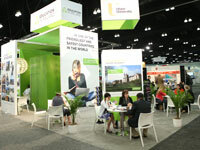 At the NAFSA Annual Conference & Expo, you will do more than exhibit. You will discover emerging trends in student mobility, establish new partnerships, participate in networking opportunities, and identify upcoming marketplace needs. You will discover the latest trends in student mobility and global learning, connect with new and current partners from around the world, participate in multiple face-to-face networking opportunities with top decision makers, identify global marketplace needs for today’s educators and their students, and more. Join us and showcase your services to the key leaders and decision makers in U.S. higher education, and international education economy. The NAFSA Annual Conference & Expo is the ideal event to share the latest developments and innovative solutions with a fast-growing group of professionals. A global audience ready to learn and engage with your programs, products, and services will be waiting for you in Washington, D.C. Learn more about the benefits of exhibiting. 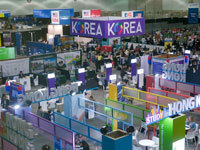 NAFSA 2019 will convene at the Walter E. Washington Convention Center in Washington, DC. We encourage all exhibitors to review the 2019 Expo Floor Plan ahead of their scheduled meetings to identify their preferences for exhibit booth placement. 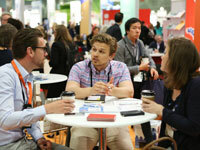 Dive deeper into why the NAFSA Expo Hall is the perfect place to enhance the profile of your programs, products, and services with the Exhibitor Prospectus . Review exhibit space pricing, availability, and timelines. Access resources, key deadlines, and the booth management portal. Explore guidelines, services, and registration and travel information.